We impart quality education from Nursery to A level for girls at an affordable cost. Our curriculum is based on integrated Educational Model. Emphasis is laid on the understanding of concepts; therefore research, independent work and interpersonal skills are strongly encouraged from an early age. Our focus is on the holistic approach of training and tutoring where every student can experience and is exposed to a wide range of topics and subjects. There is a vibrant intellectual synergy burgeoning amongst our students, teachers and other staff members to learn, comprehend and think about the world around them thereby exhibiting excellent academic results. Our O level result is consistently 100%. Furthermore, some of our students have made us proud by achieving regional and world positions in Chemistry, Physics, Pakistan Studies, Islamiyat, English, Commerce, Biology and Mathematics. A remarkable achievement! In 2006 our student Javeria Najeeb achieved world position both in English and Mathematics by securing 100 percent in both the subjects. Additional support classes are arranged for students who need extra attention to improve their academic performance. These classes help them gain, confidence and achieve excellence. Educational values at the school are not limited to academic achievements. The school recognizes the need for personality development which extends beyond the walls of the classroom. 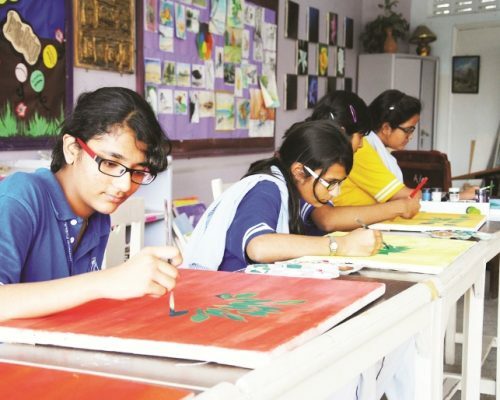 The extracurricular activities are numerous and carefully monitored for maximum benefits to polish and groom the hidden talents and potentials of our young girls thus enabling them to meet the challenges of life. 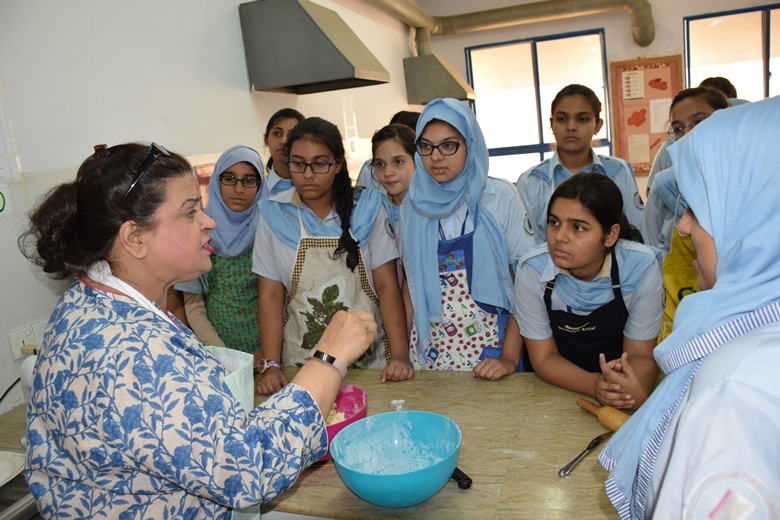 A major achievement in this aspect is the introduction of cooking and gardening classes for students right from class I; which have proved to be immensely popular among our students. Physical education is an essential part of the school curriculum. Students are encouraged to value physical fitness, the need for discipline, self control, cooperation and team spirit. We offer a wide range of games and exercises for our students to remain energetic and develop a sense of healthy competitiveness. We believe in “Healthy minds in healthy bodies”, for this we have a full time Doctor who, besides looking after the day to day problems of the Dawoodians and carrying out routine biannual medical checkups, has been working on the motto of “Healthy DPS” by conducting regular health awareness seminars to impart practical knowledge about every day health and nutrition thereby enabling them to stay fit, healthy and competitive. The school in collaboration with Aga Khan University Hospital provides Basic Life Support and First Aid training to the faculty and the senior students. 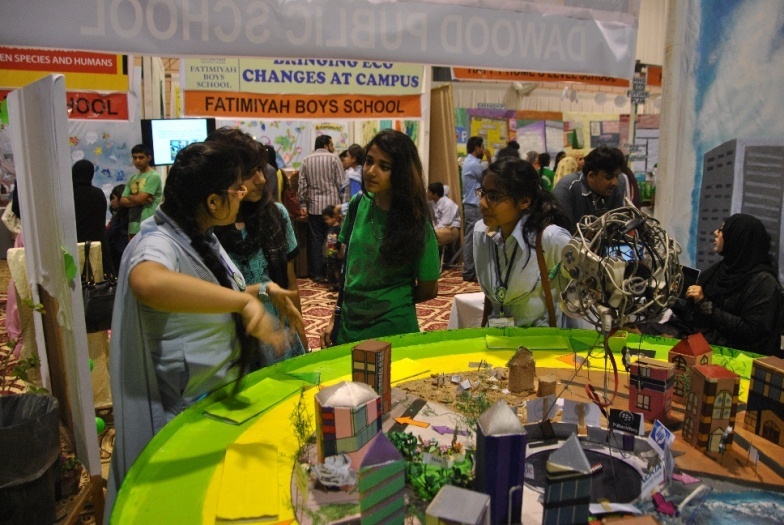 Dawood Public School has introduced the student counseling system. A qualified counselor Dr.Rakshanda addresses the students’ emotional and academic issues. In collaboration with educational experts we have devised an activity based general studies program to enhance the students’ awareness of the world they live in. This program is being implemented every Mondays in the zero period after school. Besides imparting modern education, we also emphasize upon religious Quranic education. Other than Nazra, The Holy Quran is taught with Tafseer and meaning to clear the concept of the Divine Book. After the completion of Quran, an Ameen ceremony is organized and certificates are awarded to students. Basic teachings of Quran and Sunnah are also taught in the Quran classes; therefore a Dawoodian represents the class of a modern, educated, but a true and religious minded woman. In order to meet the two fold purpose of their life that is spiritual and intellectual development and accompanying others to build their capacity to develop, our students participate in social services, because they understand that without this their purpose of life is incomplete. Our students have generously raised funds for various causes such as The Children’s Cancer Hospital, Tsunami victims, the Palestinians, TCF, various patient welfare organizations, Edhi Foundation, the flood victims of Sindh, Hisaar Foundation and many more. A social service program has been introduced whereby students are sent for internship to various NGOs like Dar-ul Sakoon, SIUT, The Aga Khan University Hospital, The Citizens’ Foundation, Saada Foundation and WWF to perform social services. Our students are members of WWF and we have been certified as the first GREEN SCHOOL by WWF, as our commitment to preserve and respect the environment. The school is a locus of opportunity and self development for all its personnel. We wish our parents to learn as well, therefore we have developed procedures to allow access to our libraries. We have three separate libraries for all three sections. 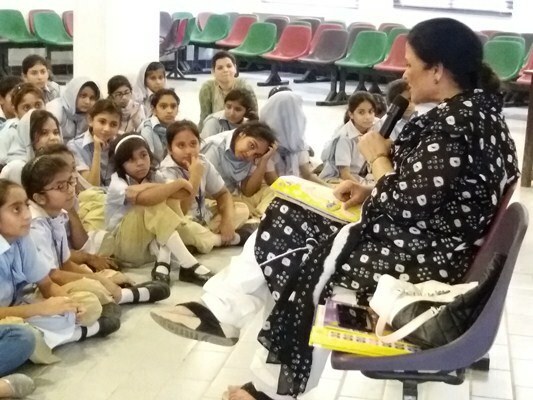 Our Libraries are fully computerized and are facilitating the efficient handling of over 18,000 books which include many latest reference books purchased from all over the country and abroad. The libraries remain open after school hours to facilitate borrowing which accommodates four different categories of users; students, their parents, teachers and alumni. We believe in education for all, therefore one distinctive feature of our school is the after school literacy classes for the menial staff during which they are taught to read and write and as a result we do not have a single illiterate staff in our school. Another distinguishing feature of our school is the formation of our Alumni Association. We have managed to provide them Alumni ID cards. We consistently support our alumni association in the events that it organizes. Our school always explores new ideas and refresher courses. Our aim is to create a strong core of teaching professionals who realize that students need the support of nurturing adults. Different staff development programs are conducted in-house as well as via other organizations where teachers are given opportunities to groom themselves professionally in general pedagogical skills, interactive learning methods and child-centered teaching techniques. In order to continue high standards our students and staff are encouraged to come up with their own initiatives, proposals and activities, so that they have the courage to strive towards their own dreams and desires. In view of the prevailing security situation of our country, security and safety remains on top of our priority list. Continuous review and enhancement procedures are being introduced. Excellent security measures have developed tremendous sense of security and confidence among all. The security dealings include a regiment of male and female guards, closed circuit cameras, networking with parents through SMS, emergency exits and fire extinguishing system to face any emergency. The school is at a prime location which can be accessed from all the areas of the city. It is a unique premises comprising of extensive separate buildings for Pre-Primary, Primary, Secondary and A levels. All the classrooms are well lit and airy, equipped with latest furniture designed, keeping in mind the comfort and age group of the students. Each section has fully equipped Computer Lab. In addition the science labs and food and nutrition labs are also fully equipped with latest technologies. Our belief is that through the hard work, and efforts of our dedicated faculty our students will be able to step forth into this highly competitive world with the ability to make mature and well informed judgment based on clear understanding of essential principals, concepts and moral values. We seek to graduate confident, critically conscious, creative, lifelong learners, who are active and ethical citizens for the pluralist world. This we think is the greatest contribution we can make towards their development as well rounded personalities and as productive members of society. Therefore we are sure that these young girls, the future women of our country, will be able to drive forth and usher the changes which our nation is desperately in need of.